European Council President Donald Tusk condemns Boris Johnson for saying the EU was behaving like Adolf Hitler. European Council President Donald Tusk on Tuesday blasted former London Mayor Boris Johnson, after Johnson said the European Union was behaving like Adolf Hitler, AFP reports. "I cannot stay silent," Tusk told reporters in Copenhagen. 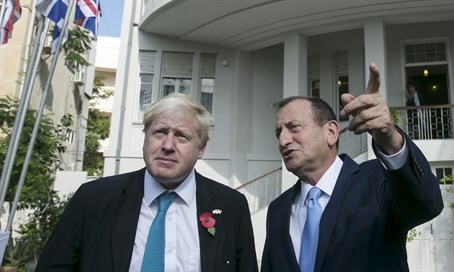 Johnson, a leading campaigner for Britain to leave the EU, had "crossed boundaries" of acceptable political debate, added Tusk. "Such absurd arguments should be completely ignored if they hadn't been formulated by one the most influential politicians of the ruling party. Boris Johnson crossed the boundaries of a rational discussion, demonstrating political amnesia," Tusk continued. Johnson’s remarks came in an interview with the Sunday Telegraph as he spoke about the UK referendum on leaving the EU, which is set for June 23. "Napoleon, Hitler, various people tried this out, and it ends tragically. The EU is an attempt to do this by different methods," the former mayor said in Sunday’s interview. Tusk, while promising not to intervene in the British political debate, said Tuesday he felt that Johnson's comments were irresponsible. "The EU may be blamed for many things, but it still remains the most effective firewall against the ever dangerous and often tragic conflicts among the nations of Europe," he said, according to AFP.